As of Tuesday May 30th, Sandcastle is still scheduled for Saturday June 3rd. The decision to reschedule or cancel the event will be made within 24 hours of the scheduled event (most likely the morning of the event) based on beach and road conditions in Galveston at that time as well as current weather information from NOAA. We will immediately update our website and social media pages if and when a decision is made. Teams and sponsors will receive direct notice by email to the contact provided at the time of registration. Thank you. The judging of the sculptures is rated on originality of concept, artistic execution, technical difficulty, carving technique, and utilization of the site. In addition to the Golden Bucket, awards are given in several categories including Best Traditional Castle, Houston-centric, Kidtastic!, Best Architectural Icon, as well as best team t-shirt design, best team signage, best costume, and public favorite. At the end of the day, everyone goes home with memories of a great day at the beach filled with fun, sand, and sun. Parking at East Beach Galveston is $15 cash only collected by the Galveston Parks Board. There is no ATM. 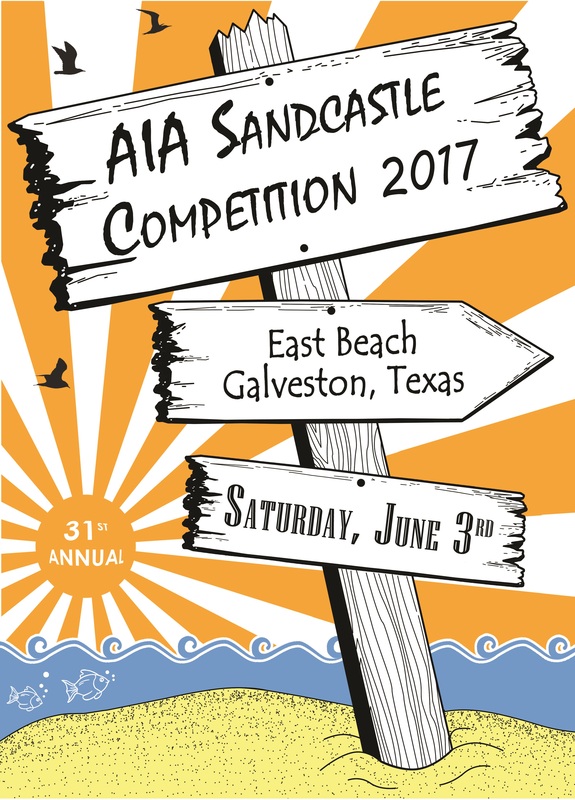 If you are interested in particpating in Sandcastle as a team or sponsor please click here.